Sapporo Snow Festival organizers have apologized for “whitewashing” Japanese tennis star Naomi Osaka. 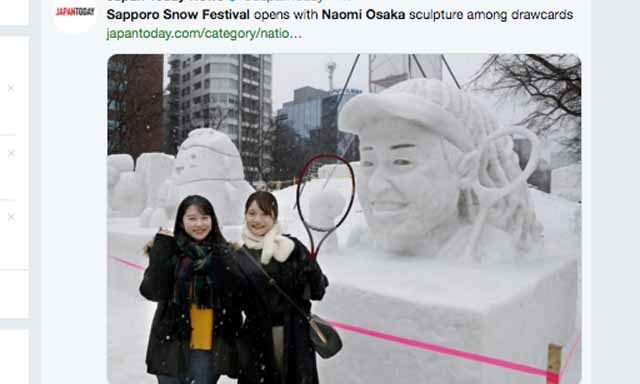 Osaka has been depicted with pale skin and Caucasian facial features through the use of frozen water. Organizers say they had not intended to “whitewash” the athlete, but “it can’t be helped” because snow is white. “It is regrettable that Japan has white snow – maybe we should have used dirty snow to appease the snowflakes,” said chief organizer Tao Suzuki.